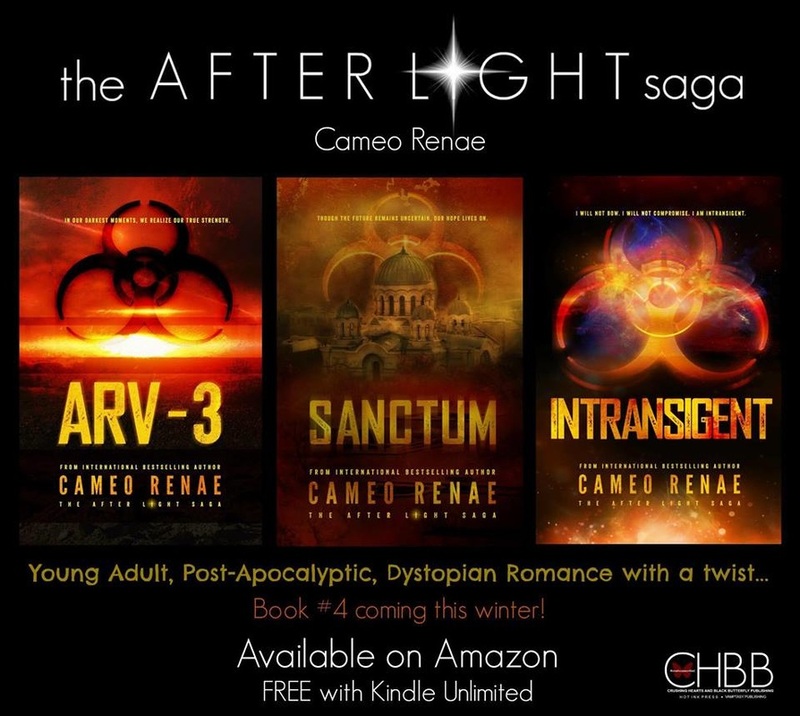 Welcome, Cameo Renae, to BOD’s author spotlight interview. It’s such a pleasure to have you with us! Thanks so much for having me! I’m so excited and honored to be in BOD’s spotlight! Yay! I love learning about our BOD authors, and especially how they became writers. What can you share with us about your author back story? Did you always want to write? Tell us how it all came to be for you. I never really considered, or even thought I’d end up as a writer, although creative writing was one of my favorite subjects in middle-school. When we were asked to turn in one to two pages of a prompted story, I would end up handing in ten or more. Eeeek! I found early on that writing was pretty easy for me, and my wild imagination was set free. My teacher was so impressed with a few of my stories, he asked my permission to share them with the high-school students. So, that was a pretty awesome boost to my self-esteem. I didn’t start writing until my kids were almost in high-school. Then, I thought…I wonder if I still have it in me? I started with an online writing community where I wrote and shared short stories, many of which were prompted. I had so much fun and a lot of awesome feedback from fellow members, so I decided to attempt writing a full length novel. I started writing a children’s fantasy, but after a vivid dream, immediately switched and began writing In My Dreams, which became my debut. It’s been a crazy journey since that book. What was your childhood like when it came to books? Were you a voracious reader when you were young? Did you have a favorite book or series that made you want to writer? My grandma has always been a voracious reader. She actually had me writing words from books from the age of three or four. Some of my favorite memories were spending weekends at her house. She’d take me to the bookstore and let me pick out ANY book I wanted, then we’d go back home and read them. She’s almost 90 today and still reads every-single-day on her Kindle and is so sharp. She’s amazing. My favorite series growing up was C.S. Lewis’ Chronicles of Narnia. It sparked my love for fantasy and reading, and I’m actually in the process of finishing that first fantasy book I started! Do you have a favorite author, or authors whose writing and stories have really inspired you, or who you like to emulate? If you could spend an hour with any author in the history of time, who would it be and why? There are so many amazing authors, that I can’t really pick a favorite. But Like I said above…CS Lewis sparked my love for reading, and made me want to write a fantasy story of my own. If I could spend an hour with any one author, I think I’d choose JK Rowling. Her stories are amazing, and she’s built quite an empire. I’d love to sit and listen to any advice from her. That would be amazing. Tell us about ARV-3: The After Light Saga. I’ve read a lot of book with zombie-like creatures, but the Arvies in ARV-3 are some of the more terrifying I’ve read about it. I love the world building you created and especially the Arvies organized groups and intelligence. Can you tell us a little bit about this story and how you came up with such a thrilling apocalyptic world? I love the whole zombie apocalypse genre, so I wanted to see if I was able attempt my take on it. It seemed like a really fun idea, but when I started, it became so much more. I didn’t want my creatures to be dead, so I mutated them. And I wanted them to be intelligent and have a seething hatred for all survivors who abandoned them on the topside. This made the After Light world even more suspenseful and horrifying. There are also endless “End of the World” scenarios. After I’d read a true article on solar flares, and how close we’ve been to having our national grid knocked out, and the dangers it could cause, I decided to go that route. It added a very real fear into this story. While a solar flare has a high amount of radiation itself, I also added the nuclear power plants to compound the danger, and did a lot of research on that too. Hopefully they can get all plants to become walk-away safe, in case our power grid should ever go down! I love strong, female heroines. And it’s especially cool when they have amazing fighting skills. Can you tell us about Abi? Is there anyone in real life who inspired you to create Abi? I also love a strong female heroine, and wanted Abi to be one of them. She grew up in an underground bunker, and had practiced combat skills for thirteen years, but she’d never experienced the real horrors of the outside world. I loved writing this in first person because we get to see how Abi deals with her fears. She is very afraid of the new dangers, but knows she has to be strong, not only to survive, but to help her family survive. What I love about her is that no matter what the situation, she always rises to the occasion. There wasn’t any person I based her off of. I just thought she was someone I would have loved to have been like if ever thrown into this situation. Abi is an amazing marksman. Another great quality when fighting/running away from zombies. Do you have any experience as a marksman? Whether you do or not, what would be your weapon of choice to fight off the Arvies? I’m definitely not a marksman, but I am a pretty decent shot. Whenever we played those shooting video games, with the fake guns, I could outshoot anyone. I guess I can give some credit to my distant relative…Wyatt Earp. (True story) My aunt did a genealogy report, because my great-grandmother’s maiden name was Earp. What else can you tell us about Abi’s story in the After Light Saga? In the latest book, Intransigent, we all get a closer look at Abi and her new “gift”. This brings an even greater dilemma and added suspense to the story. Because the government knows about her gift, they want her, and will do whatever it takes to find her and get her back. This puts her family, and everyone she loves at risk. With every new installment we see new struggles and how Abi is able to deal with them. She is young, but she is also determined, and will do anything to save those she loves. That’s what I love most about her. What other writing projects are you working on, or what can we expect from you in the future? I have so many things on the back burner, and I’m already exhausted thinking about it. My poor brain is smoking, and it’s definitely not as young as it used to be. Haha At the moment, I’m working on a spin-off for the Hidden Wings Series, AND then Book #4 in the After Light Saga. Next year I’ll be starting a few new series, and will be writing the sequel to In My Dreams. So, I’ll be pretty busy. What crazy, fun facts would you like us to know about you? Do you have other creative talents you’d like to share with us? What are some of your other responsibilities when you’re not writing? Tell us anything you want. When I’m not writing I love reading or watching movies with my family. I can’t wait until the next season of The Walking Dead!!! I started the Fear the Walking Dead episodes and ALMOST gave up after the first two episodes because every single one of them made me frustrated. I seriously wanted to jump into the screen and slap the crap out of them. But then…it started getting better, and I’m glad I stuck with it. Poor Nick need a bath and a hairbrush. I also love iZombie and Z Nation. Z Nation is frustrating too, but also funny. Wow, I do watch a lot of zombie movies. Thank you, Cameo Renae, we’ve loved getting to know you better. And thank you for being a part of Band of Dystopian Authors and Fans. Thank you so much for having me! It was a pleasure. I love BOD!!!! 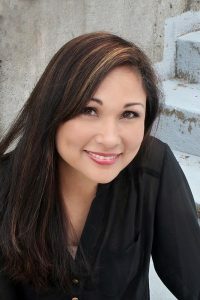 Voted 2013 Break Out Author by Young Adult & Teen Readers.